Inspired By The Olympic Games? One of the reasons London was so keen to host the 2012 Olympic Games was to “inspire the youth”, which has been the credo of the modern Olympic games since their beginning. But what can be inspiring about the spectacle the Olympics have become? Back in ancient Greece, the Olympic Games were a contest held between the city states the country was then comprised of. The Greek conducted them in honor of god Zeus, who they hoped would look kindly on them when he saw how his wards strived to ever be better. Besides that, the games also encouraged better relations between those city states, that almost had made it a hobby to go to war with each other. If you asked an ancient Corinthian what he thought about Athens, the reply would most likely have contained a lot of expletives. But for the Olympic games they laid down their weapons, even during battle, and all traveled to Olympia. Which probably made for some interesting conversations on the way: “sorry about trying to cut your throat, old chap, but, you know, it really was nothing personal”. But maybe Zeus had not been quite satisfied, because around the year 400 it was game over for the ancient festivity. It took 1,500 years for a revival and that came with a French nobleman, Pierre de Coubertin. I’m not sure what inspired Coubertin, but maybe “noble” was an adjective that truly befitted him: he wanted to make the world a better place. Beside having this pleasant idea, he also was active in boxing, fencing, horse rising and rowing, had a keen interest in antiquity and believed that physical fitness was at the core of bodily and mental health. Given his philanthropic trait, the ancient idea of athletic games to encourage physical fitness and understanding between nations therefore naturally appealed to him. He adapted the games of antiquity to modern times, founded the International Olympic Committee (IOC) as the governing body and made sure that it strictly enforced the rule that no professional athletes were to compete – the everyman should be in the spotlight. 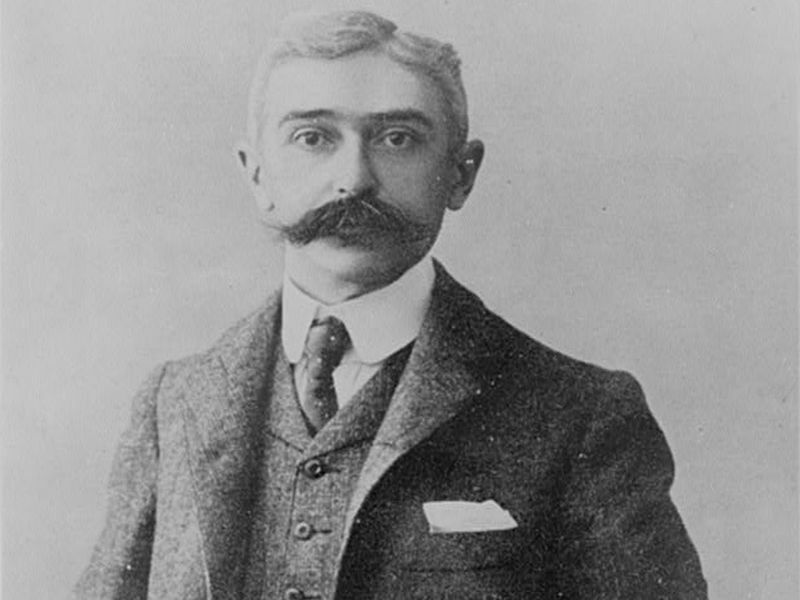 Least of all was commercial interest on Coubertin’s agenda. It was, after years of preparation, in precisely this spirit that the first modern games were held in 1896. If Zeus was still around, he probably was proud. Until 1972, all still went by plan and the IOC mostly stayed true to this premise and refused money from sponsors. But when new faces realized how much could be made with selling television rights and sponsorships it was almost as if a brake had been released. Over the next 13 years, the IOC started aggressively marketing and selling the Olympics as a brand, which in 1985 accumulated in the founding of TOP, an Olympic sponsorship club. These days, a membership in TOP costs a whopping $50 million for a four-year-period. When we now look at London and the 2012 games, we see that two of the top sponsors are McDonald’s and Coca-Cola. I’m not strictly against fast food, but I do wonder how selling cheap caloric bombs goes together with getting a “healthier and fitter population”, which were the words former prime minister Tony Blair advertised London to the IOC with. This commercialization nowadays also engulfs many athletes, who too have to rely on sponsorships to finance their training. Maybe some also need the money to afford expensive doping, which allows them to stay competitive and threatens practically every single Olympic sporting event. No success, no sponsors, no money for training. A survey asked British children if they felt “inspired” by the games. Many, many of them aren’t. But is that a wonder, when the only takeaway messages of today’s Olympics are “with enough money you can buy yourself into anything” and “maybe you need to cheat to succeed”? Baron Coubertin and Zeus most likely shake their heads. Pictures courtesy of Jon Curnow and the Library of Congress. Olympic Cooking… now that’s something I’d watch! Fun fact: During the European Athletic Championships, some of the actual contestants dined at McDonald’s and they ate A LOT. I’m just glad they went under here in Iceland ^^ No chance I’ll accidentally eat there again. I should also add, lest I sounded like the arrogant American, that the rise of international basketball is great. Now there are teams (especially Spain) who are putting up excellent competition. Corey, that is a valid point. Some of the best athletes are professionals – they would be stupid not to be. However, the whole issue probably wasn’t as pressing when Coubertin made the distinction as it is now. Today, for example, the US track and field athletes are by definition amateurs, yet they get very little governmental support. Therefore they have to rely on sponsoring contracts, which you usually only score if you devote your career to your sport. Where is then the difference to, say, a Lakers point guard, who does nothing but play basketball? It’s an issue the IOC has problems with for years. Eg., tennis, that is Olympic and *does* allows professionals. I vividly remember Steffi Graf playing at Seoul ’88, despite her already having a six digit income from her career. That simply makes no sense. As a child, I was fascinated by them. Today, not so much. Thank you for your educational comment on my column! You make a good point. In my contempt for the Olympics, it’s one I should not have forgotten.